Heavenly blog! : Nr. 279: Christian people of Norway are sleeping, are lukewarm and indifferent! The world is eager, enthusiastic and want something more! Nr. 279: Christian people of Norway are sleeping, are lukewarm and indifferent! The world is eager, enthusiastic and want something more! Christian people of Norway are sleeping, are lukewarm and indifferent! The world is eager, enthusiastic and want something more! Eph. 5. 14 Therefore the Scripture says, Awake, you who sleep, and stand up from the dead, and Christ will shine for you. Before I got saved it was for me football morning, noon and night! I had football on bread and in bed. It was the life for me. But then God called me and I said yes, 16 1 \ 2 years old. Salvation and life with Jesus was and is wonderful! The old life for me was really good, safe and exciting. But I knew I had to make a choice when I did both and found that Jesus was a reality. For me it was the spirit baptism a turning point for me as a believer. I had been saved in January 1981 and after a time so there was a longing in me for experiencing God more. 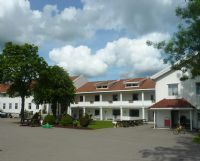 In the summer of 1981 was on a visit to Ebenezer in Skudeneshavn where I had been saved, Bible college students from Smyrna Bible Institute, and it glistened with them from heaven in their faces and eyes. I knew they had something that I and most of the youths had not, they had experienced God's power. It bore a longing in me and through, among other things. a their visit. Early next year I also got in touch with a Bible teacher and Evangelist Finn Arne Lauvås who taught me about these things. I was then baptized in water and spirit in tongues as a sign of april 1982. Find Arne baptized me, which he regretted in hindsight great. He has among others. a said that he regretted that he did not drown me, he was holding me down for so long that I was dead literally. But I was baptized, and it was wonderful for me to be baptized in the Holy Spirit and fire! It is sad and sad when I look back on this. This is so wonderful and biblical, was also a death-wound for me. It seemed also to some extent counter-productive when I and some brothers that I had contact with who had experienced the same thing as I served God with life and light. This was not really tolerated and desired, one should be muted, moderate and not for "spiritual." This was too much, one should adapt and not be too eager and ongoing! This I could have written much about. But apostasy began in the 80th century. To change the church from free friends and become Pentecostal was not really big difference. Pentecostals were a little more open, but otherwise there was a lot of the same. Why is this so? It is not always easy to give a satisfactory answer to this. I do not know fully, but sad and sad it is that it surrendered and total devotion Christ life is not really accepted and tolerated among the faithful, when I think of the Free Church of the Christian world first and foremost that I have been in and was a part. Where will this end? This I can not give a satisfactory answer. But I know that if I and you hold us close to Jesus, so also, according to his own words, promised to stay close to us! Now, after over 31 years as a believer I am preserved, well saved, a good marriage and as a spiritual "freelance". Driver church and business here in Oslo and find that what I stand for and preach still being neglected, abused and there is something wrong with me, even Christianity in Norway is looking to run. Should one take this into it? That I can not quite when I learned that what I stand for and have always stood for keeps. But what about the dull, indifferent and asleep Christianity stands for do not. This is a little black and white, but to put it on the tip as is becoming more and more of the world and what the world is the widely accepted within its Christianity if it is the Free Church and the ecclesiastical part of Christendom. Who needs to repent? Church of God or the world? 1. Pet. 4. 17 For it is now time for judgment to begin with the house of God, but it begins with us, what will be the end for those who will believe the gospel of God? 18 And it is just difficult saved, where shall it be to the wicked and the sinner? Matt. 7. 13 Enter ye in at the strait gate: for wide is the gate and broad is the way that leads to destruction and many there be which go in by it; 14 for the gate is narrow and the way that leadeth unto life, and few there be that find it . Reading the Bible God's people as it stands and let it go into it? I can not reply to the fullest, but Christianity lives in a dangerous gray area which is dangerous for your spiritual life. We know in the evening when the sun goes down before the evening and the night comes that there is a gray area. At that point than not to see and all the dimmer and it is also difficult to state as some of the light is gone, it's actually the most dangerous time of day many times for example. to drive and going out. Such is also the Norwegian and secure the whole of Christianity in the Western world entered in. A no longer know what is right and what is wrong, she knew no longer what is sacred and what is unholy, you never know what is what! So it was, it is the condition of Laodicea! David Wilkerson was in Norway and Sweden, and gave the same message. That there was a spirit of indifference of the Christian people of Norway and Sweden. It means very little to anyone about anyone living in sin, the doctrine or anything other than stand for. Only a non piercing of which a self is doing. We see how quiet it is, no conflicts, and never to engage and get someone to be troubled, tragic! The opposite of love is not hate, hate is stunted love. The opposite of love is indifference, said Eli Wiesel. 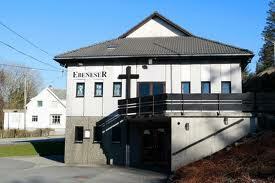 This is where Christianity in Norway has entered the order on the whole. I also have and still make my mistakes, like all other people. But for me it also sought to highlight things like that. It must and should feel natural. My wife and I have our incongruous but we we both have learned to ask for forgiveness and apology. Then work out the most, not to say everything! But when we make mistakes and sins, so we take heed, and repent so that Jesus' blood cleanses from all sin! It is wonderful and lovely! When I look at my life I have experienced so incredible and still experiencing so much with the Lord where I go from victory to victory and from glory to glory. All p.g.a. a totally surrendered life to God and the Lord Jesus Christ. But if I take my last as I fall just as easy if not easier to sin than others? My flesh is as stale and bad as in all others, I know. But they also sought to add something to their lives if there is victory? Should I hold on to such as they Evangelisenteret do or others? Such a life they have never attracted me, or should I hold on, as Jan Hanvold, Jan Aage Torp doing to defend my sin? All this is fairly applied. I have lived all my life a good and meaningful life, even before I became a believer, I had a good and healthy life with meaning and content. And after I got saved, it was even better and more glorious! But can I go to Jesus and not always take up in public. It does so many others so much better than me. 1. Pet. 5. 7 and dispose of all your sorrow for him! for he cares for you. In the text because it says that we should overturn our sorrow in the Lord. Just like falling over a stone over so we roll our cares on the Lord. This I have learned and the way we live as a family today. But to believe that Christian life is a Autobahns at the disposal is for fools. Of course there are fights and conflicts, and they need to ask for will come when they come without prayer. Just to be a light and be salt in this world, it is enough that the struggles and struggles are there and come. So my request clear, it is possible to be a victorious Christian in which the focus was not a self in some ways, but Christ! There is so much better and more glorious that Christ is the focus of one's life a problems and difficulties! I think that God is more than powerful and willing to both lead than without past difficulties and problems, and also the problems and difficulties. Will eventually make Asaph's words of mine, he went within its God with his life and all that was him on the heart. Psalm 73 23 But I am always with you, you have touched my right hand. 24 You guide me by your counsel, and afterward optar to me in glory. 25 Whom have I in heaven? And when I have you, I do not like anything on earth. 26 fail than my flesh and my heart, as though God is my heart and my portion forever. 27 For behold, they that keep him away from you, are destroyed, you destroy all who fall from thee of fornication. / 28 But for me it is good to keep me close to God, I put my trust in the Lord, the God of Israel, to tell all your deeds. Nr. 294: How often Jesus spoke of himself as God? Nr. 293: Confessed Jesus to be God the Father?